Three weeks after supporting the prosecution of BJP leader Subramanian Swamy for hate speech for allegedly violating the IPC provision 153 A through a book written by him , the Centre has done a big U-turn on the issue. In an additional affidavit filed in the supreme court yesterday, the union home ministry said it was "merely the statement of fact and is not any expression, opinion or decision" of the official who had filed the affidavit. In an affidavit on October 28, the Home Ministry had told the apex court that Swamy violated IPC provisions with his writing. It added that Swamy, in his book Terrorism in India, made a “hate speech against a community of India”. “The book (is) to be considered in all aspects as it contains matter which ‘promotes feeling of enmity and hatred between Hindus and Muslims in India’. Therefore, the petitioner has violated sections of the IPC,” the affidavit had stated. The MHA now contends that the earlier affidavit is “in no way the conception” of the ministry regarding Swamy’s book, and that the book is the subject matter of legal challenge before trial courts. "The counter affidavit filed by the answering respondent is in no way the conception of the answering respondent relating to the book in question written by the petitioner, which is the subject matter of challenge before the Courts below," a the additional affidavit filed today. "In that view of the matter, the submissions made in the counter affidavit particularly the contents of para 11 apart from supporting the validity of the provisions of law challenged by the petitioner, what is stated is merely the statement of fact and is not any expression/opinion or decision of the answering respondent," it said. 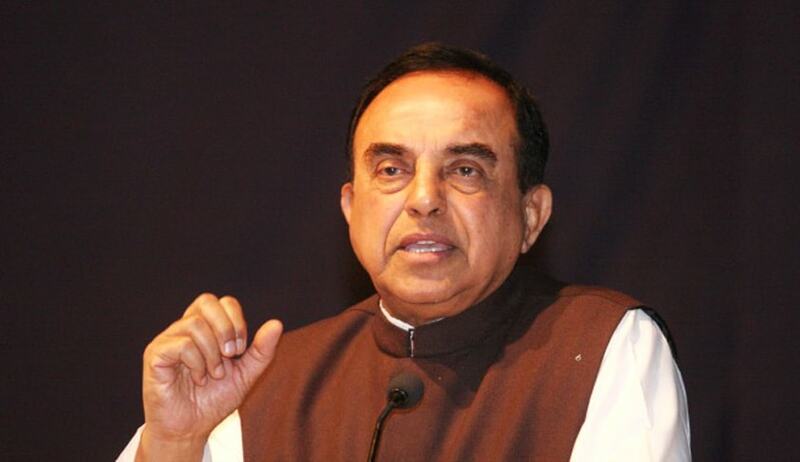 The affidavits came in a petition filed by Swamy challenging the constitutional validity of Section 153A (Promoting enmity between different groups on grounds of religion, race, place of birth, residence, language, etc, and doing acts prejudicial to maintenance of harmony) of the Indian Penal Code. It also said submissions in the previous affidavit are related only to validity of legal provisions relating to hate speech. “What is stated is merely the statement of fact and is not any expression/opinion or decision of the answering respondent (MHA),” states the new affidavit. In the previous affidavit, the MHA had said it is not a defence under Section 153A that writing contains a truthful account of past events or is supported by a good authority if it is calculated to promote feelings of enmity or hatred. The previous affidavit also sought to counter Swamy’s argument that a person should not be prosecuted under these sections for expressing his views if there are no violent consequences or reaction within a reasonable span of time. “It is not necessary to prove that as a result of such hate speech, some consequences should be caused. A mere attempt of delivering hatred is punishable…It is enough to show that the language of the writing is of a nature calculated to promote enmity or hatred,” it said. Swamy’s petition, which came up for hearing last week, is likely to be heard next in January 2016.